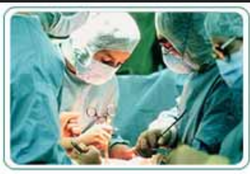 We have fully trained stuff to handle all kind of ENT Emergency, such as Nasal, Bleeding, Foreign body in any Cavity etc. at any hour. cardiac ambulance for transportation and event purpose. Ambulance is fully equiped with trained doctor. Ambulance Services The ambulance service is mainly for Tata Steel employees, to bring patients from their residence and drop them after discharge within the jurisdiction of JNAC. No matter where you are in Bhiwadi, you will receive prompt, high quality, emergency medical care and transport from Ambulance Bhiwadi 24X7 available. As per our plan, we intend to introduce Ambulance Services to all needy people at a very reasonable cost. we are leading AC & NON AC Ambulance Service Provider in keelkattalai.